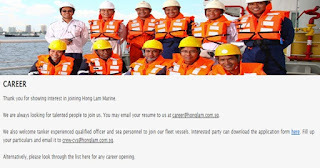 Hong lam marine company location on Singapore opening recruitment for seafarer position port engineer for oil tanker vessel. If you interested to join please completed requirements before submit your CV. - About comapny: Incorporated in Singapore in 1981, Hong Lam Marine is one of the most established and leading bunker craft operators in Singapore. According to the Maritime Port Authority of Singapore, Singapore is the number one bunkering port in the world since 1988 (in terms of volume of bunker fuel sold). 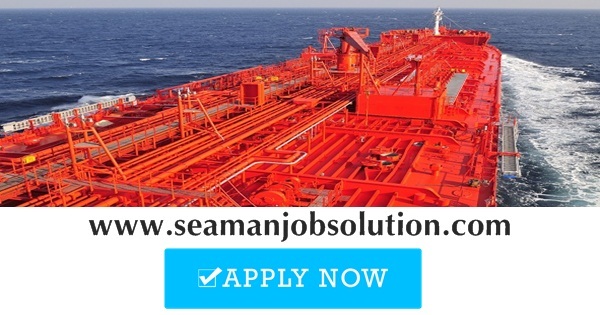 Diploma in Mechanical / Marine Engineering / COC class III (Engine) with 2 years relevant experience. Able to read drawings and service reports. Willing to work on site, on board vessels and in workshop. Willing to sail on board vessels as riding Mechanical Engineer when required. Willing to travel overseas when assigned. Good working attitude and team player. Able to work under pressure and tight schedules. Preferably to have experience working on high speed and medium speed diesel engine such as Cummins, Daihatsu, Hanshin and Yanmar. 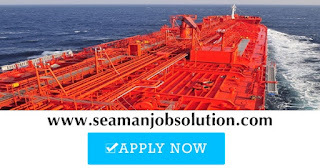 Please subscribe updated seafarer jobs vacancy from marine shipping company or crewing agency with our www.seamanjobsolution.com solution for seafarer looking job at sea NO SIGNUP - NO LOGIN.